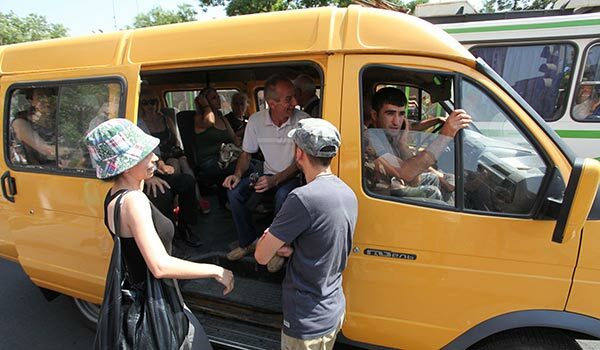 Scores of young activists went around Yerevan on Saturday calling on citizens not to pay more for commute as higher public transport fares became effective in the capital. Several activists were briefly detained by police for placing leaflets on bus stops but were later released. They said they considered police actions unlawful since they did not break any law and demanded explanations. Some passengers continued to pay 100 drams (about 25 cents) for minibus rides despite the introduction of the new fare rate of 150 drams. Most of them complained about their social situation but some, like the young activists, did so as a sign of protest, hoping that the Mayor’s Office will eventually reconsider its decision. Meanwhile, some drivers told media that beginning on Saturday they would be paying more to route owners on a daily basis, while others said they still had lax regulations in that regard and did not argue with passengers paying 100 drams. Meanwhile, another opposition group joined in the general outcry against the decision, considering it to be the result of the absence of free competition in the market. “We consider it necessary to find a solution to this problem urgently by creating conditions for real competition,” said the Free Democrats Party. Earlier, the opposition Armenian National Congress party called the rise in public transport fares unconstitutional, while the opposition Barev Yerevan faction in the Yerevan Council of Elders questioned the grounds for the rise, suggesting that a special meeting of the municipal body be convened on the matter. The city authorities have stood by their decision, insisting that the rise in public transport fare rates is a necessary step and reflects the need for further upgrades in the sector.